Maren recycling balers provide a cost effective and practical solution for dust and wood chip scrap handling problems. The feeder hoppers can be adapted to gravity, pneumatic or belt conveyor automatic feed devices. Baling dust and wood chips for reprocessing can help generate maximum revenue and a quick return on investment. 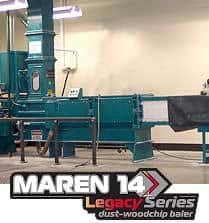 Maren’s Closed Door & Manual Tie Balers are designed to handle the high demand of dust and wood chip materials. 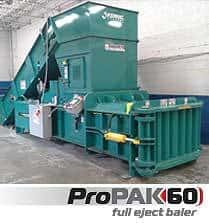 Our closed door balers allow for full ejection and separation of individual bales during the baling process. Maren’s Closed Door Manual Tie Balers are a smart investment for profitable recycled material like Dust & Wood Chips. Recycled dust & wood chip scrap is used in the production for an assortment of products including panel boards, animal bedding, landscaping, playground areas, and much more. Looking where to buy dust & wood chip recycling balers? Maren Engineering has Dust & Wood Chip Recycling Balers For Sale. Contact Us Today!